The victim, 16-year-old Jacson Pineda-Chicas, of Falls Church, Virginia, was killed after a group of suspected MS-13 gang members stabbed him to death inside a suspected MS-13 leader’s home in Landover Hills, Maryland, WTOP reported. The teen’s body was discovered on the side of the road on March 9 in Stafford County, Virginia. Police arrested the alleged gang leader, Jose Ordonez-Zometa, 29, in Prince George’s County, Maryland, on first-degree murder charges in connection with Pineda-Chicas’s death. Investigators say they suspect the 16-year-old was also part of the gang because he traveled with the gang members to Ordonez-Zometa’s home the day before the murder. “Our victim, in this case, was part of this gang,” said Maj. Brian Reilly, commander of the Prince George’s County Police Department’s criminal investigation division, told reporters Friday. “These were his gang-member friends that turned on him. This isn’t a gang war. I want to make sure we get that clear. This isn’t two gangs fighting each other. This is a gang that turned on one of their own,” Reilly added. Investigators say they are looking into what caused the teen’s fellow gang members to turn on him. 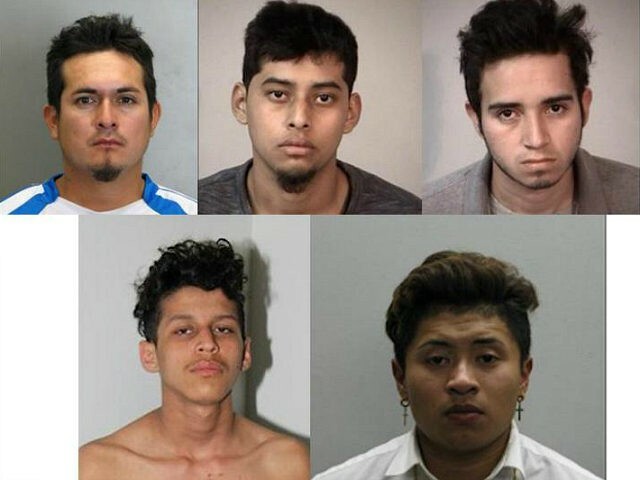 Police say the MS-13 gang in question operates out of Fairfax County, Virginia, even though the suspected leader lives in Maryland. MS-13, which has origins in Central America, has been known for committing heinous crimes against American citizens. One suspected MS-13 gang member was recently accused of being involved in the murder of a man killed simply because he wore a sports jersey with former NFL quarterback Peyton Manning’s name on it. And in early February, a group of MS-13 gang members allegedly shot and killed a man in broad daylight on a Queens, New York, subway platform.